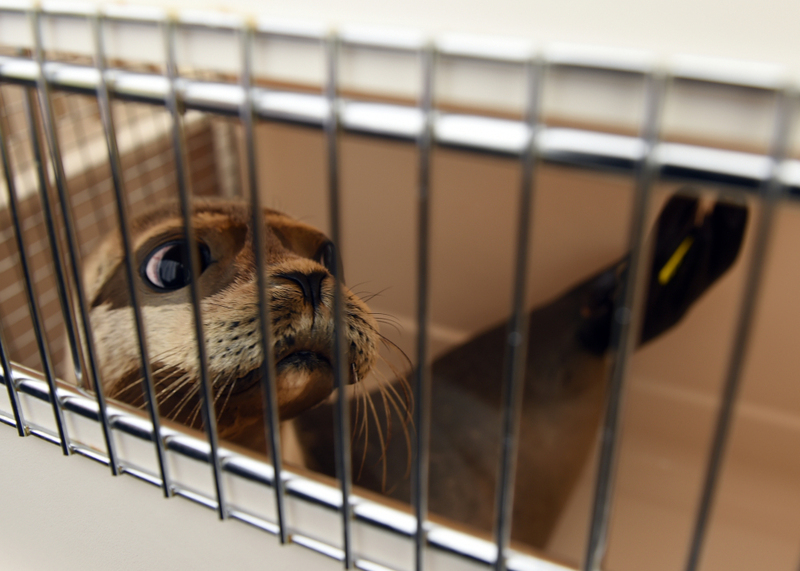 Four seal pups rescued in Maine are released in R.I.
All were abandoned by their mothers in May and taken to Mystic Aquarium, where they were taught to fish. CHARLESTOWN, R.I. – Four seal pups have been released from a beach in Charlestown by an animal rescue team from Mystic Aquarium. Two male and two female harbor seals – named Orion, Bullwinkle, Freya and Loki – were released on Blue Shutters Beach on Thursday morning. The four were rescued separately in Maine in May. All were found to have been abandoned by their mothers, and two were dehydrated. Orion, Bullwinkle and Freya have more than doubled their weights since being taken in. The aquarium in Connecticut says the animals had to be taught to fish because they had never hunted on their own. All four are now healthy and robust.